This exquisite choker style necklace is a one of a kind jewel. 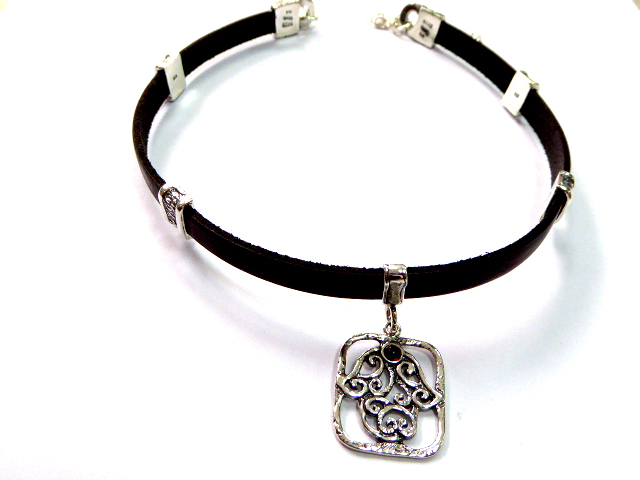 The pendant is cast from pure sterling silver in the shape of a curlicued hamsa symbol framed in a rectangle and complimented by a comfortable leather choker. This special choker style necklace will always find it’s place on any girl's neck, and makes a fine statement about your unashamed proud Jew or just a strong supporter of Israel via your Israeli jewelry fashion to add to your outfit to add some additional depth to your choice of wardrobe. Alternatively, this necklace makes a terrific gift for your mother, daughter or friend, to let them know that you are thinking of them! 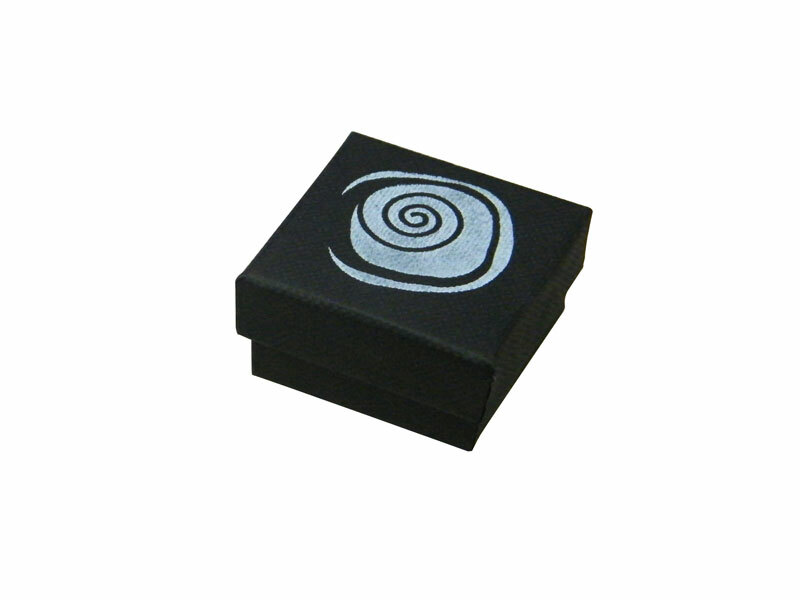 Made from a pure sterling silver pendant and a tasteful leather choker, the pendant itself of this work of Jewish jewelry describes a handsome Hamsa symbol framed in a rounded corners rectangle, and filled with classical Israeli “shablool” (Hebrew for “snail”, because of the swirling designs on a snail's shell) type curling designs. Long have men and women of Jewish origins worn such Hamsa stylized jewels as this one by Shablool Jewelers!